Partly cloudy skies early will give way to cloudy skies late. Slight chance of a rain shower. Low 36F. Winds ESE at 5 to 10 mph.. Partly cloudy skies early will give way to cloudy skies late. Slight chance of a rain shower. Low 36F. Winds ESE at 5 to 10 mph. An on-screen prompt offers you a choice which changes the rest of the story moving forward. “Black Mirror” is a television series that masterfully plays on the anxieties of living in the modern age. Its paranoid, pessimistic view of the creeping reach and influence of technology is made more chilling by its familiarity. Series creator and writer Charlie Booker approaches existing technology from a skewed angle, and extrapolates it to its darkest end. The result has made for some truly compelling, unsettling and prescient television. In the new film, “Black Mirror: Bandersnatch,” Booker takes his twisted sensibilities to new meta-textual heights. The film is an expansive, labyrinthine and self-reflexive experiment that represents a new level of immersive storytelling. If this is the future of television, god help us. 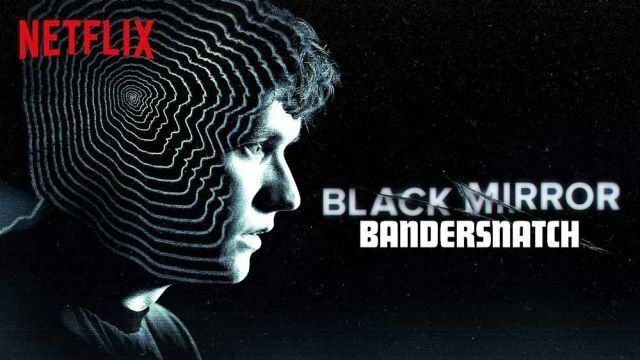 In 1984 England, a young video game programmer named Stefan (Fionn Whitehead) is working on a game based on a fictional choose-your-own-adventure novel called “Bandersnatch.” The work quickly consumes Stefan, leading to either success, failure, violence or tragedy — depending on the path you choose. The film mirrors the book and game’s choose-your-own-adventure format. At various points in the story, you are prompted to choose between two options. When the choice appears at the bottom of the screen, you have 10 seconds to choose a path. That choice will set you on a new and potentially entirely different ending. It’s also possible to let the story play out linearly without making a choice, but that’s no fun. The experience of watching “Bandersnatch” feels like a “Black Mirror” episode itself. It’s Booker’s meta masterpiece: life imitating art imitating life imitating art — a narrative ouroboros that traps us inside its unending loop. With allegedly more than a trillion story combinations that lead to five possible endings, one can easily imagine a “Black Mirror” episode where a new immersive TV experience creates an obsession so strong it leads to social collapse. As a film, “Bandersnatch” doesn’t hold together. Directed by David Slade, who also directed the gorgeous, dystopian season-four episode “Metalhead,” the baseline story is your typical paranoid “Black Mirror” fare. All the heady talk of alternate timelines and conspiratorial manipulation is mostly window dressing used to set up the choose-your-own-adventure premise. Being constantly nudged to choose a path pulls you out of a traditional audience experience, which makes it difficult to get lost in the story being told — when you make one choice you’re already thinking about how you’ll choose differently next time. The result is a fractured viewing experience that is enjoyable in the moment but immediately forgettable. As a gimmick, however, “Bandersnatch is impressive. While it bridges the gap between video games and television in a way that feels novel and fun, this is decidedly a game. Given its success, we can certainly expect more interactive viewing experiences in the years to come. That’s not necessarily a bad thing, as long as we don’t confuse a good game for good television.